[His] lack of influence among the movers and shakers of American political life should not be surprising,given Oakeshott’s insistence on the irrelevance of political philosophy to practical politics. As he once wrote, “reputable political behavior is not dependent upon sound or even coherent philosophy.” Such behavior is instead related to the concrete practical knowledge of an actual political tradition and what such a tradition intimates. 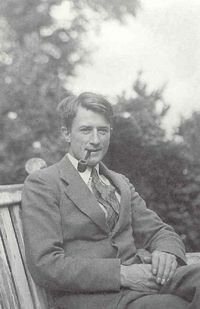 Although his 1939 essay ‘The Claim of Politics’ defended the right of individuals not to become directly involved, in 1941, Oakeshott joined the British Army in its fight against Nazi Germany. He was on active service in Europe with the intelligence unit Phantom, which had SAS connections, but he was never in the front line. He served his country for the rest of the war against the Nazism he despised.